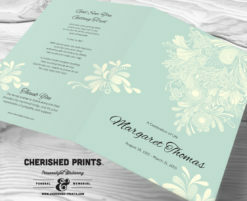 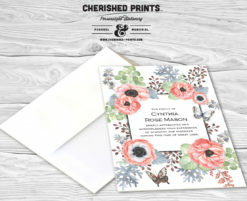 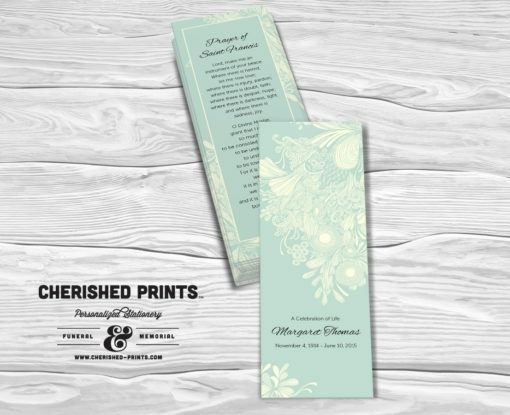 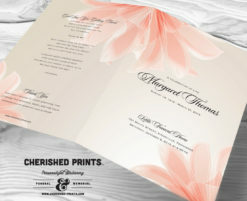 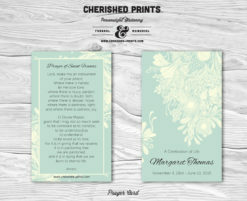 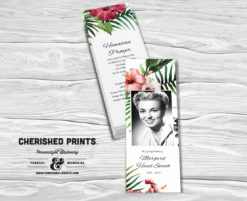 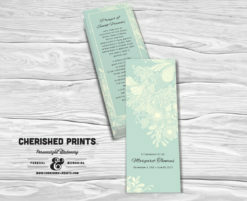 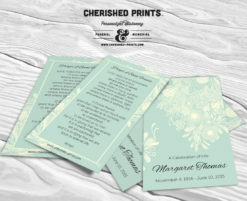 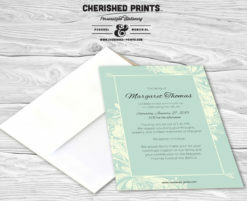 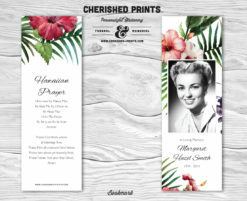 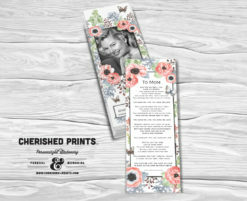 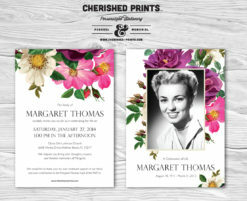 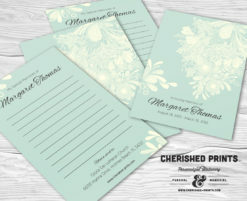 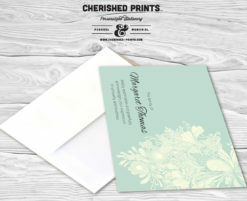 Cherished Print’s Chrysanthemum Bookmarks for Funeral and Memorials exudes pure softness and elegance. 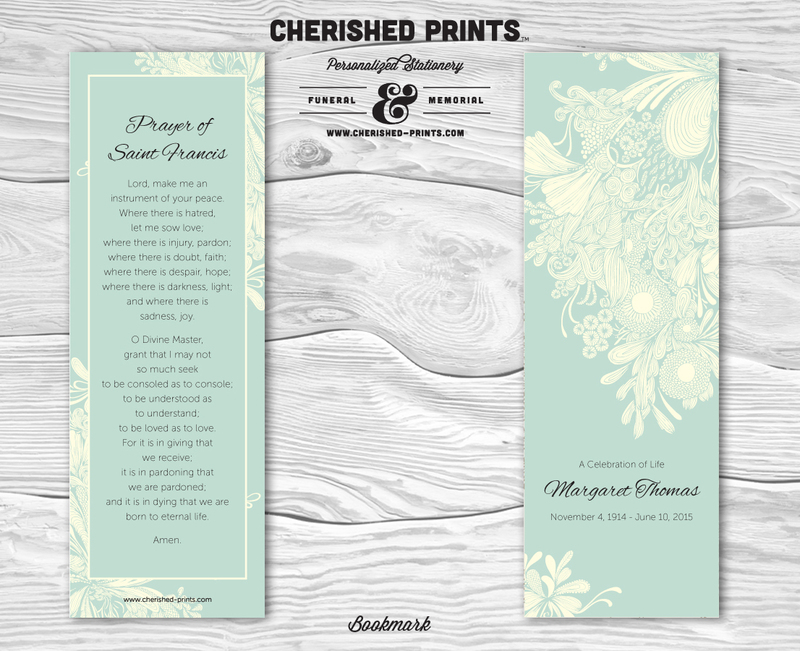 The bookmark can be customized with your choice of colors. 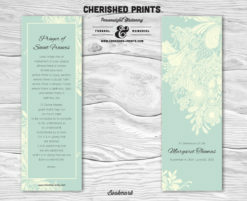 Gorgeous item and so appreciated by the family. 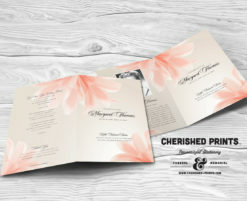 Thank you so much for your quick turnaround and fantastic effort.